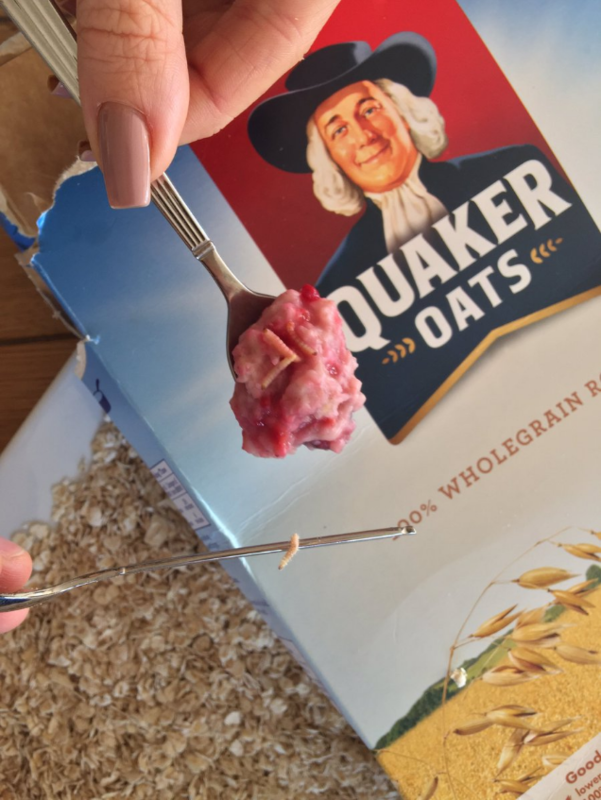 A man has found something disgusting in his packet of Quaker Oats porridge, but only after eating a bowlful. Aaron Peters from Chigwell in Essex chomped his way through a breakfast of porridge with fruit. Disgusting, we know. But then it got worse. Towards the end of his bowl, he found that he'd been eating live maggots as well as oats and fruit. Aaron, who now has a lot of maggots inside of him, tweeted Quaker Oats a picture of the maggots wriggling around on his spoon. In the background, the mascot looks on, wryly amused. Aaron described the horrifying ordeal to Quaker Oats in his tweets. Aaron thinks he may have chomped his way through a sizeable amount of maggots before he realised they were in there. "Anyone that knows me well enough will know I’m not exactly the slowest eater in the world." He told the Metro. "I believe I paid the price for this on Saturday morning." "I’m pretty sure I ate at least a good portions worth of maggots that morning." He was not happy to have the extra protein. 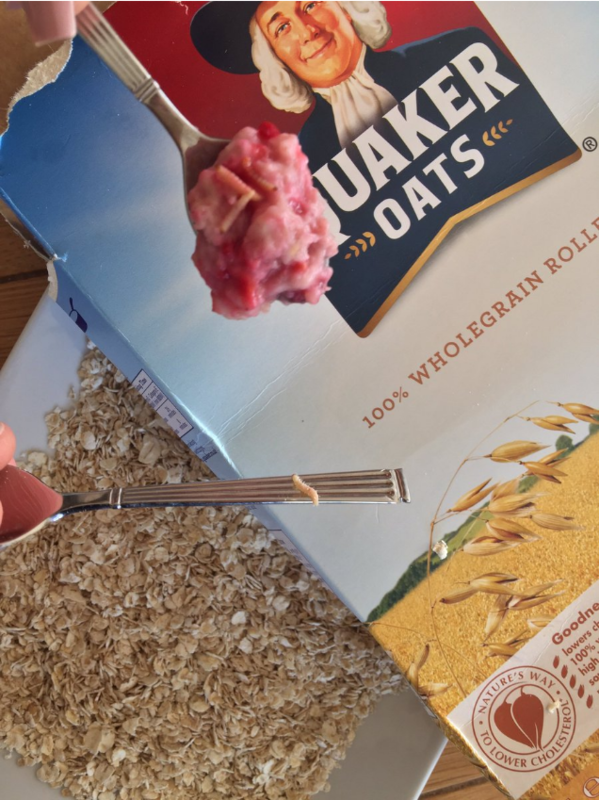 A maggot expert quickly jumped in on Quaker Oat's behalf, to question whether it may have been the fruit that the maggots had used to hijack their way into Aaron's breakfast. At this point, Aaron accepted that they might have been mealworms. Delicious mealworms, rather than disgusting maggots. Quaker Oats have yet to comment.